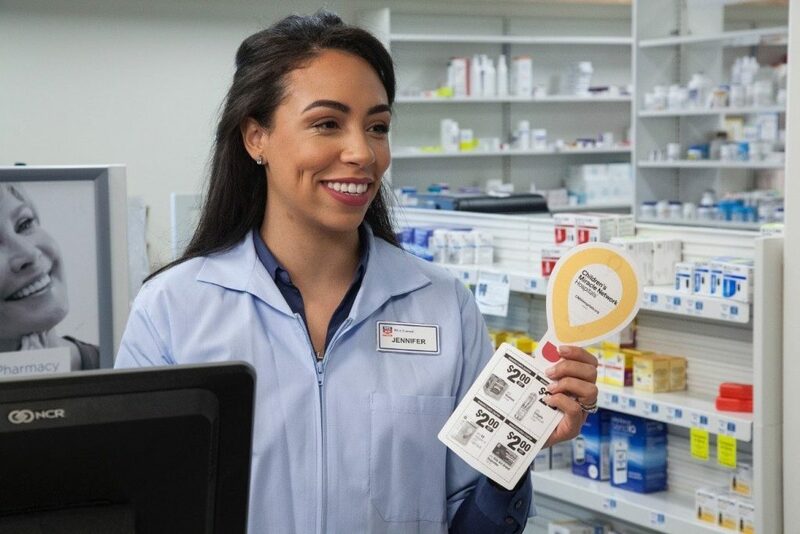 RITE AID: Rite Aid kicked off its 24th annual Miracle Balloon campaign to raise money for Children’s Miracle Network Hospitals on March 4th. After just two weeks of the campaign, Rite Aid surpassed $1 million fundraising mark. Through May 12, customers can purchase a $1 paper Miracle Balloon at any Rite Aid to support their local children’s hospital. To help raise even more money for Children’s Miracle Network Hospitals, many Rite Aid locations are selling special stuffed teddy bears created by Bears for Humanity. For each bear sold through April 28, Bears for Humanity donated one dollar to Children’s Miracle Network Hospitals. RE/MAX: Giving back is a priority in the RE/MAX culture. 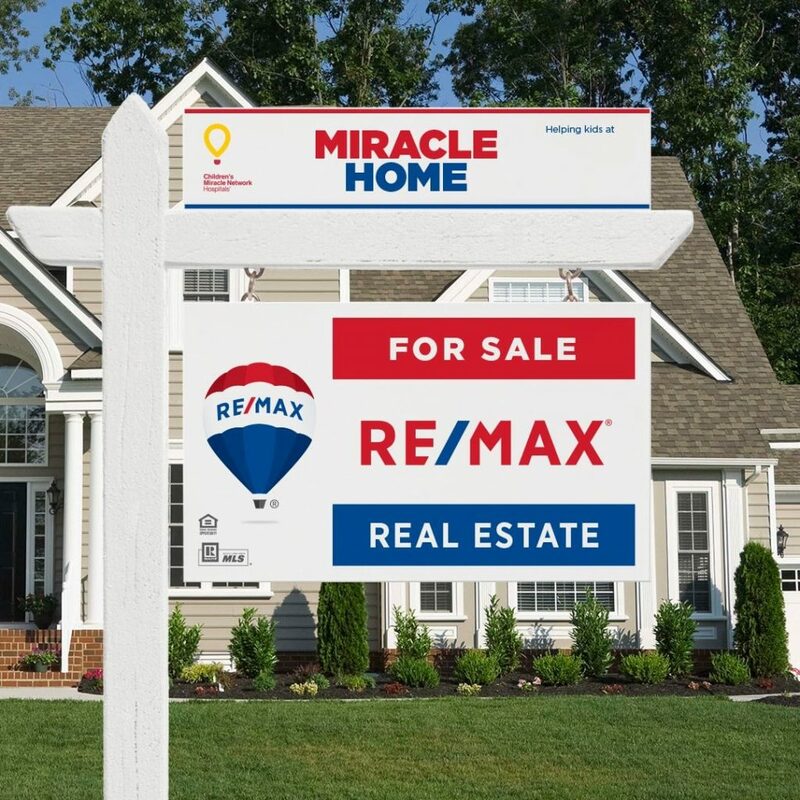 Across the U.S. and Canada, RE/MAX agents and offices make a positive impact – volunteering, donating money and ultimately bettering the communities in which they live and work. RE/MAX has been a proud supporter of Children’s Miracle Network Hospitals since 1992. Last year alone, its agents and offices raised more than $10.8 million. 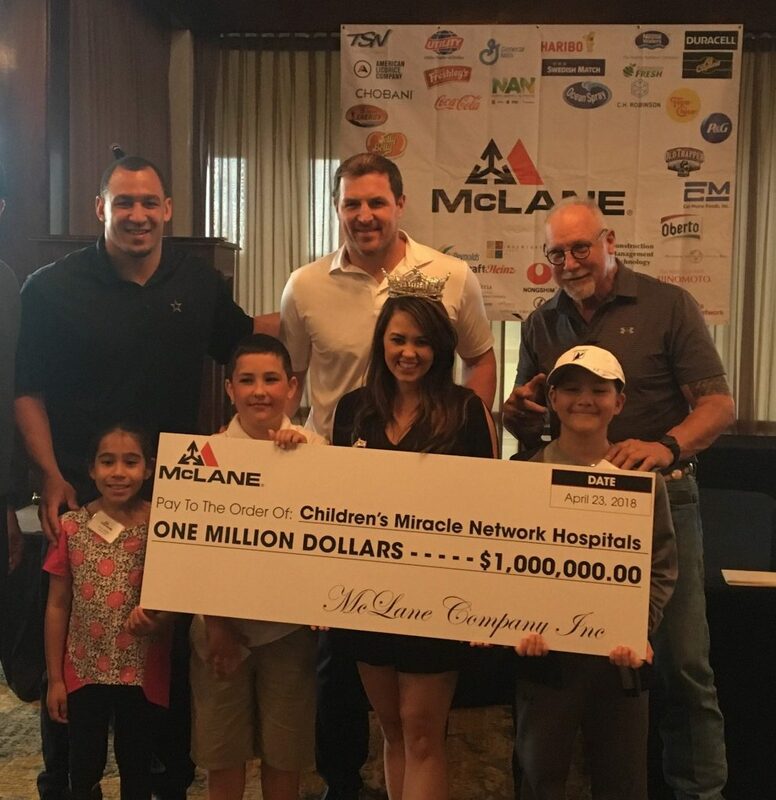 MCLANE: McLane recently held their 30th annual golf tournament that raised $1 million for Children’s Miracle Network Hospitals. Vendors, and special guests Miss America, Jason Witten and Randy White, traveled from nationwide to golf, donate funds & spend time with the amazing miracle families for Baylor Scott & White McLane Children’s Medical Center. 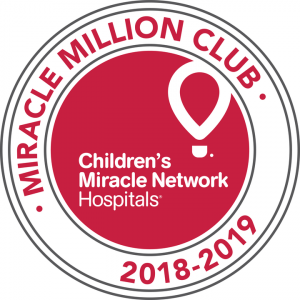 UGA MIRACLE: Children’s Miracle Network Hospitals is thrilled to once again welcome UGA Miracle to the Miracle Million Club. This year, students from the University of Georgia came together to raise $1,261.077.18 for Children’s Healthcare of Atlanta. 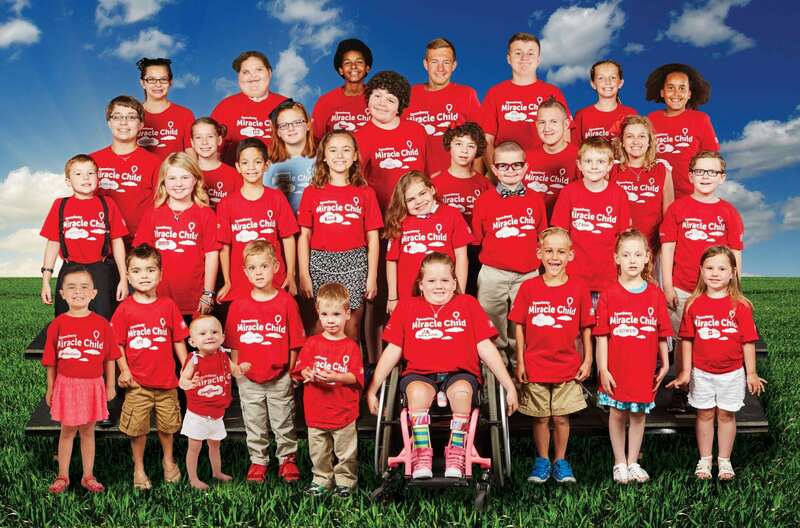 Throughout its longstanding history, UGA Miracle continually goes above and beyond For The Kids. This year was no exception as they made “Miracles Beyond Measure.” Thank you to all the participants, donors, and partners, who made such an amazing accomplishment possible. Your impact on the kids of Children’s Healthcare of Atlanta is phenomenal! 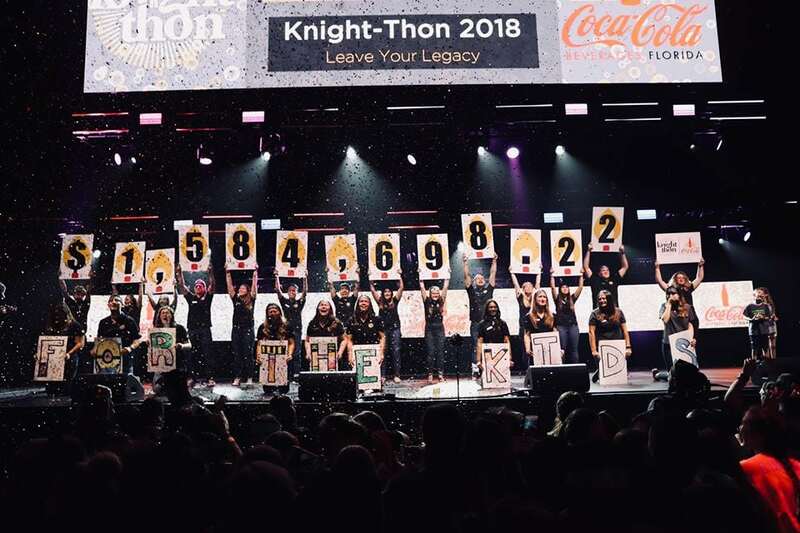 KNIGHT-THON: Knight-Thon at the University of Central Florida raised an impressive $1,584,698.22 For The Kids at Arnold Palmer Hospital for Children in 2018. Children’s Miracle Network Hospitals is delighted to welcome Knight-Thon to the Miracle Million Club again this year. Throughout the entire year, Knight-Thon encouraged students to “Leave Their Legacy” on the patients and families that their efforts support. It is safe to say that the entire UCF community did just that. Thank you to all the participants, donors, and partners who continue to make miracles in the lives of the kids at Arnold Palmer Hospital for Children. 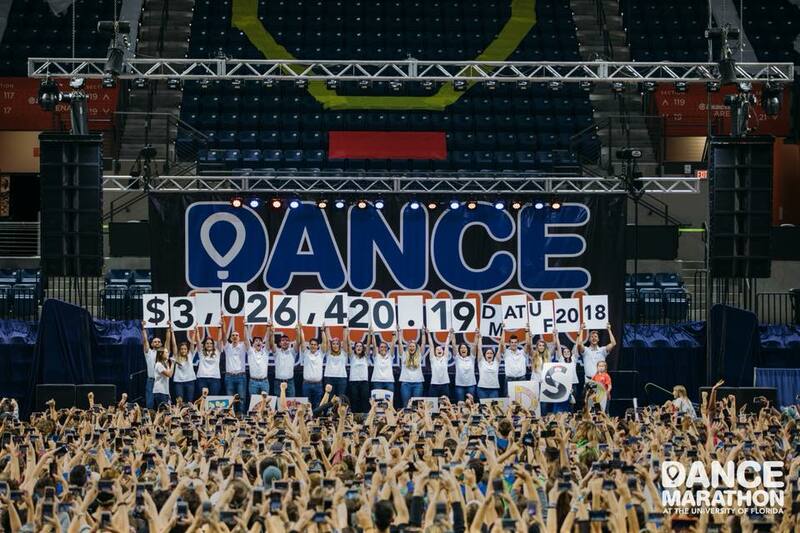 DM AT UF: University of Florida students truly “Redefined Tomorrow” with DM at UF raising an incredible $3,026,420.19 For The Kids at UF Health Shands Children’s Hospital. Their passion for the cause and commitment to success will lead to brighter tomorrows for the many kids and families they support. Thank you so much to DM at UF, the University of Florida, and each and every donor for your ongoing support of the kids and families at UF Health Shands Children’s Hospital. CMN Hospitals is beyond grateful for your dedication and commitment to saving lives. 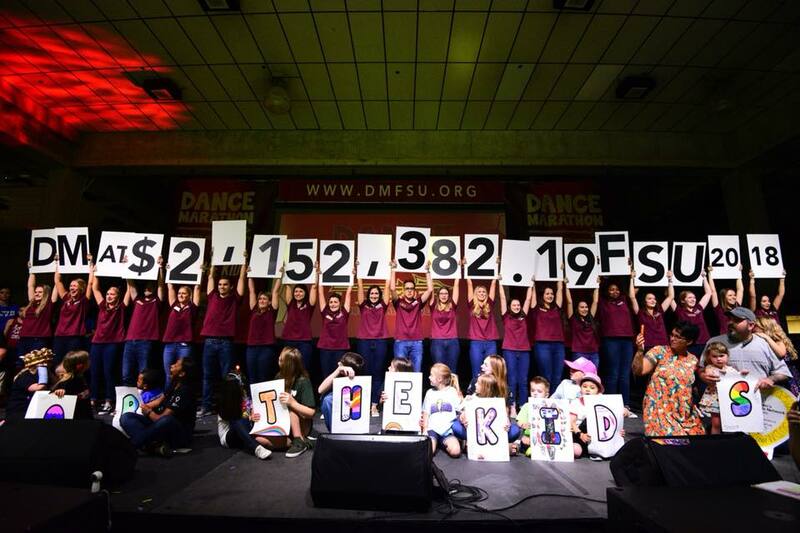 DM AT FSU: In 2018, Florida State University students came together for DM at FSU. Together they raised $2,152,382.19 For The Kids supporting Shands Children’s Hospital. 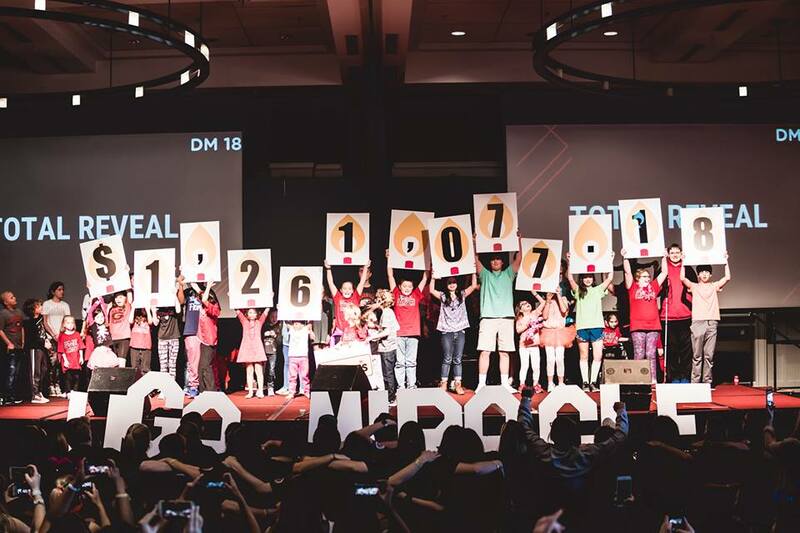 DM at FSU is no stranger to the Miracle Million Club at Children’s Miracle Network Hospitals. Every year their hard work, dedication, and enthusiasm for the cause shines through in a big way. Their “Up To Us” campaign this year unified them as a student body for one cause. Congratulations to DM at FSU and thank you to all the participants, donors, and partners for this outstanding achievement! 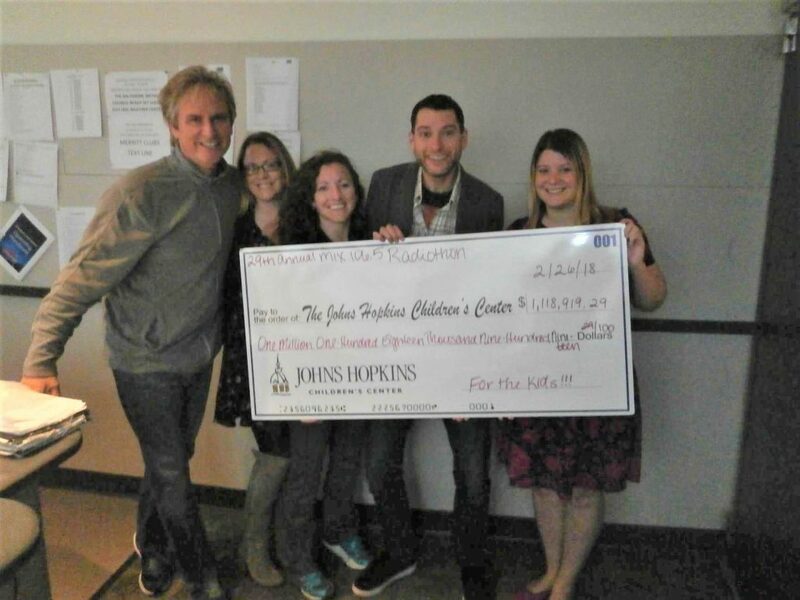 WWMX: The 29th annual Radiothon for Johns Hopkins Children’s Center on Mix 106.5 (the first CMN Hospitals Radiothon in the country) just raised $1,118,919.29 for the kids in Baltimore! Jon, Reagan, Katy-Rose, Maria, and Priestly hosted the entire 2-day broadcast. This is the 4th year in a row they have raised over $1 Million! Funds raised will purchase life-saving medical equipment, provide vital health services and support programs for kids and infants at Baltimore’s local Children’s Miracle Network Hospital.